Home staging consultation – how does it work? 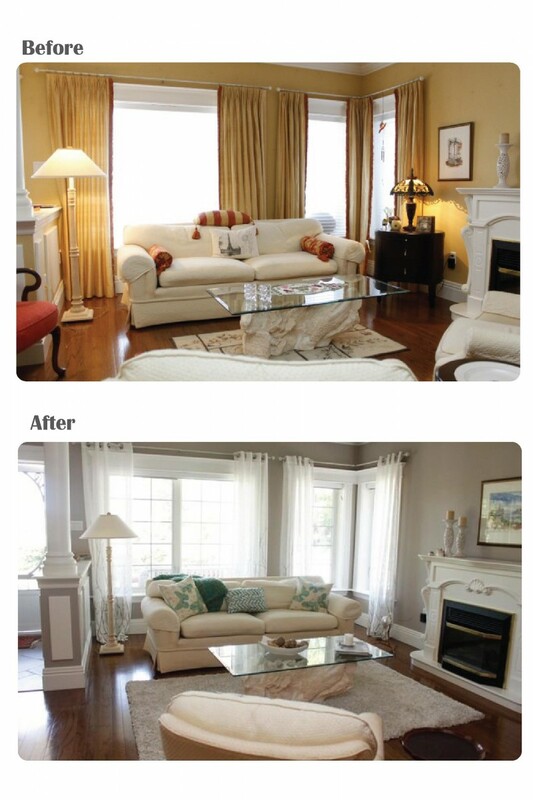 I get asked often how a home staging consultation works. First of all, I’m not going to judge you if your house is messy! 🙂 There’s nothing you have to do beforehand, or anything you need to prepare in advance of the consultation. How we live in our homes is quite different than the state it needs to be in when we’re selling. I’m going to help you by giving you recommendations to get your home in a show ready state. As a home stager I have a fresh pair of trained eyes that will see things that you may have never noticed, or just fail to see now after living in your home for so long. Ideally the consult will be hands-on and we’ll make some changes during the two hour consult so you’ll begin to see the impact that some small changes can make. We need to depersonalize the home. Take personal photos for example, they need to come down. There’s a few reasons, one, so buyers can’t identify you, and secondly so they picture themselves living in the house, rather than you living in the home. During the consultation I will provide recommendations for updating certain aspects of the house, if required. Some may cost some money to implement, while others might not cost anything. You can choose what recommendations to implement. I will make recommendations on furniture placement, to allow for good flow and functionality of the home for potential buyers. Buyers want space and having too much furniture in a room can make the space feel smaller than it is, and having rooms vacant also has the same effect. Having just the right amount will maximize the space. If you require some furniture pieces I can help with rental pieces. As a professional home stager I’m easily able to access a room and its contents quickly, to see how to re-adjust, and/or de-clutter some of the contents to create a more show ready space. Often times there are pieces in a different room that can be utilized. The goal is always to use what you have in your home to maximize the space aesthetically. Below is a great example of a transformation that a two hour consult can make. During the consult we repositioned some of the furniture, and removed other pieces to make the room feel larger. We also de-cluttered the room a bit, leaving windows clear of shades and trinkets, removing excess artwork that was taking away from the focus being the fireplace in the room. The client happened to have sheers packed away that complimented the room so we put those up. The old drapery was heavy and dark feeling. We found the throw and a couple of the decor pillows in a different room and pulled them into this room. The client completed the rest of the work themselves, they painted based on a paint colour that was selected for them, and purchased the rug. You can see for yourself what a big transformation it made in this room. Small edits can make a huge impact! Have you de-cluttered too much? Sometimes clients have little to no décor in their home. De-cluttering is good, but you don’t want it to the point where the space is sparse and has no warmth or interest to it. Recommendations will be made as to what, if anything could be added to create a more cozy space. Paint colours and wall conditions will be discussed. Neutral colours are best when selling and suggestions will be made for what, if anything requires touch up or complete painting during the consult. The best thing to do is to have your home stager in early. I’ve had clients that just finished painting, and their choices really weren’t good for selling a home, and sometimes they have to repaint. I have many clients that take the recommendations made during the consult and they apply the changes themselves. Many want some help, some are too busy, and others just know that it’s going to be much less stressful to have me help them. Should you have a lot of de-cluttering and packing to do, helpers can be sent in to give you a hand with this should you need the extra help. Whether you choose to go the DIY route and make the changes yourself, or hire me to help you, the two hour consult can be invaluable. My passion is to help people prepare their homes for sale in order to get top dollar. I’m here to help…please call me or pass along my name and contact info to a friend or family member that is moving soon!